Teacher Jim Ironheart, aptly named, is sent by forces unknown to save chosen people in life-threatening situations. By chance, a young but jaded reporter stumbles onto his missions, and joins him to investigate who is controlling him and why. Shared nightmares begin to point to an extraterrestrial influence, and the pair are forced to confront Ironheart’s forgotten past for answers. Koontz ( The Bad Place , LJ 12/89), a master at maintaining mystery and suspense, weaves themes from earlier novels into this latest thriller. 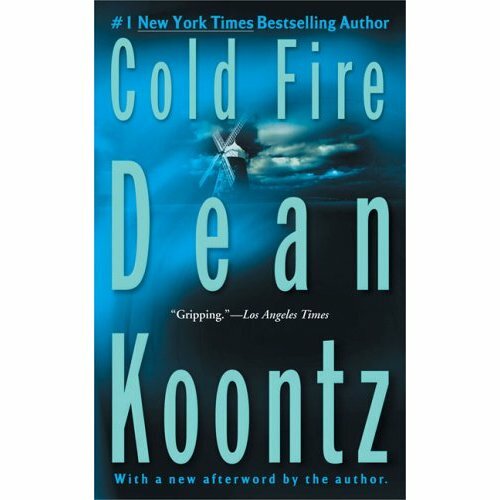 Even if the ending calls to mind DuMaurier and Hitchcock, Cold Fire contains all the ingredients–likable characters, nail-biting suspense, and above all, unlimited imagination–that will please Koontz’s fans. For all popular collections. Literary Guild and Doubleday Book Club main selection; Mystery Guild featured alternate; previewed in Prepub Alert, LJ 9/1/90. -Eric W. Johnson, Teikyo Post Univ. Lib., Waterbury, Ct. This is my second reading of this book and I loved it just as much as I did the first time. “Please God, if you’re listening, keep Rachel safe.” She couldn’t turn her back on her family in their time of need. So when her sister was injured, financial expert Andrea Hampton traded the big city for Amish country to help turn her grandmother’s house into an inn. But life with the Plain People took a treacherous turn when a string of accidents and pranks threatened her family. Someone didn’t want the secrets the old house harbored to come to light. Trusting anyone-even the handsome carpenter who seemed so genuine-was a battle for Andrea, but her life depended on her ability to find the truth. This is the first book in the Three Sisters Inn trilogy and I found it to be a nice way to spend an afternoon. 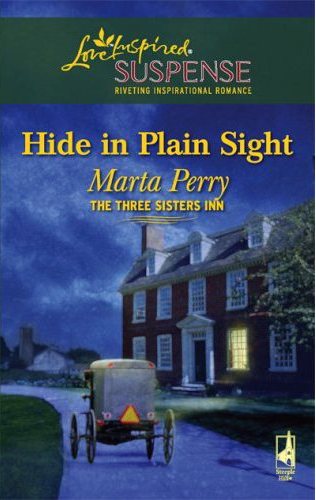 I normally do not read Christian based books because sometimes they tend to be overly Christian, but Marta Perry combines a Christian foundation with mystery, romance,family and friendship in an entertaining way. The story takes place in Amish country although most of the characters involved in this story are not Amish but would be referred to as Englishers but the author’s description of the mansion turned bed and breakfast, the attic full of Amish quilts and the colors used brought the story to life. I will definitely read the next installments when I find them.